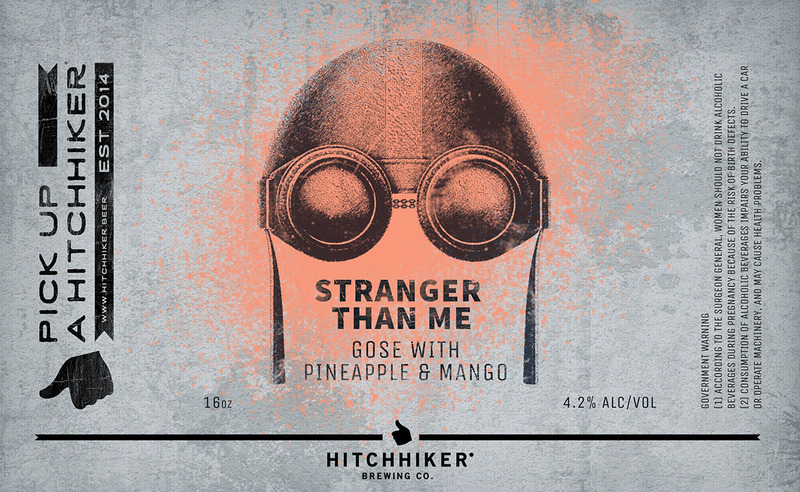 Stranger Than Me | Hitchhiker Brewing Co. Brewed with wheat, sea salt, and coriander. Conditioned on mango and pineapple. Notes of lemon custard, pineapple, mango, bread dough, and salt.